Orange County Mayor Teresa Jacobs and the National Center for Simulation (NCS) hosted the second annual Florida Simulation Summit on Sept. 22 at the Orange County Convention Center. The Summit highlighted the state’s multibillion dollar modeling, simulation and training (MS&T) industry and helped identify opportunities for businesses to commercialize simulation. The 2016 Florida Simulation Summit focused on advancing human performance in life sciences, healthcare and sports through the use of simulation. The goal of the Summit is to raise awareness of the vast impact that the simulation industry has on Central Florida and to capitalize on existing and emerging synergies. From the creation of simulated cutting-edge surgical procedures to sophisticated simulated medical applications, MS&T is a catalyst for jobs and capital investment in the region. The lineup of speakers included industry experts from Florida Hospital, Orlando Health, Nemours Children’s Hospital, Veterans Health Administration, United States Tennis Association, EON, Syndaver Labs, Engineering & Computer Simulations, Guidewell Innovation, LLC, CAE Surgical, the University of Central Florida and the Orlando City Soccer Club. Chancellor of the University of Nebraska Medical Center and Nebraska Medicine Board Chairman Dr. Jeffrey Gold was the opening keynote speaker and discussed the use of simulation and virtual reality to educate and prepare students for real-life scenarios in the medical field. Dr. Thomas Graham, Tavistock Group Chief Health Strategy & Innovation Officer and Chairman and CEO of HEMISPhere Global, shared information on health and wellness innovation strategy within Medical City during the lunch keynote presentation. He also spoke about his experience as a renowned surgeon. He previously served as a hand surgery consultant and team physician for numerous major league sports organizations. Chairman of Mayor Jacobs’ MS&T Blue Ribbon Commission Waymon Armstrong; U.S. Congressman John Mica and Florida Simulation Summit Chairwoman Beverly Seay provided opening remarks and introductions. President and CEO of the NCS, retired Air Force Lt. Gen. Thomas L. Baptiste provided the closing remarks at the Summit. Secretary of U.S. Department of Veterans Affairs Robert McDonald was also in attendance. The robust MS&T sector contributes more than $6 billion to Florida’s gross state product and directly employs more than 30,000 Floridians with an average annual salary of almost $79,000. The Central Florida Research Park, located next to the University of Central Florida, is the epicenter of the MS&T industry and fosters collaboration, cooperation and partnership between academia, industry and government. By working with the County’s many industry partners, including Orange County’s MS&T Blue Ribbon Commission, the Orlando Economic Development Commission, Florida High Tech Corridor, Team Orlando, the City of Orlando, Central Florida Research Park, the National Center for Simulation, the Metro Orlando Defense Task Force and the Orange Technical College, Central Florida is investing in the future of this high-tech industry. Recognizing the importance of the MS&T cluster’s presence in Central Florida, the state has appropriated $42 million over a three-year period, which will help mitigate the rental costs at Central Florida Research Park. Many lawmakers championed the efforts to secure funding for this high-value, high-wage industry including Gov. Rick Scott, Florida Senate President Andy Gardiner and Florida House Speaker Steve Crisafulli. 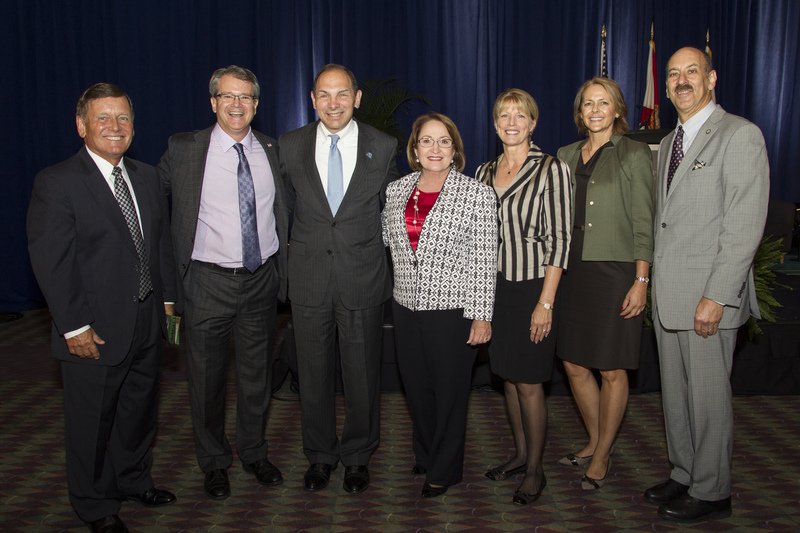 To view photos from the Florida Simulation Summit, visit Mayor Jacobs’ Flickr album.